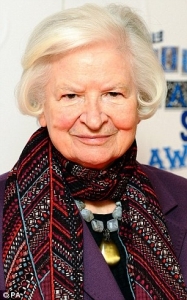 Britain’s ‘Queen of Crime’, novelist P D James left more than £22 million in her will when she died last November, probate records show. As well as writing 20 books and working as a senior civil servant, she invested in property, owning two houses, four flats and a valuable beach hut in Southwold, Suffolk. So why did PD James leave so much to HMRC? Given she was a writer of crime and detective novels, you could call it her last unsolved mystery. Inheritance Tax (IHT) is a tax on the money, investments, property or possessions (your ‘estate’) that you leave behind when you die. It also applies to some gifts you may make while you are still alive. A certain amount can be passed to your inheritors without being taxed; this is known as your ‘tax-free allowance’. The allowance or ‘nil-rate band’ for 2015-2016 has been frozen at £325,000 (£650,000 for couples), the same as it has been since 2010-11. It will stay that way until at least 2020-2021 as the government continues to rebuild its finances following the credit crisis. Chancellor, George Osborne announced in July’s Summer Budget that he intended to scrap IHT when parents or grandparents pass on a home that is worth up to £1m (£500,000 for single people). This will be phased in gradually between 2017 and 2020. Currently, the £325,000 per person nil-rate band (£650,000 for couples where, when the first one dies, their allowance is passed to the survivor) means that property to that value can be left without attracting IHT. Therefore, from 2017 the maximum that can be passed on tax-free is £425,000 per person, or £850,000 for married couples or those in a civil partnership. (i.e. £325,000 + £100,000 for singles, £650,000 + £200,000 for couples). By 2020, the tax-free amount will be £500,000 for singles (£175,000 property allowance, plus £325,000 nil-rate band) and £1 million for couples (£350,000 property allowance, plus £650,000 nil-rate band), as the main residence allowance rises. What if my estate is still worth more than £500,000 (or £1 million for couples) by 2020? Money given away before you die is subject to IHT if you die within seven years of giving the gift. So one tip is to give substantial gifts at a time when you are confident of surviving more than seven years. Early planning of how to pass on your assets is important. This is an area where you do need specialist advice. Many people assume that if they are married or in a civil partnership, IHT isn’t an immediate concern. But they may be wrong, as the family of comedian Rik Mayall recently discovered. Although Mayall was married, he had failed to write a valid will and died ‘intestate’. That meant that a portion of his estate automatically went to his children, thus triggering an IHT charge that would have been avoided if his estate been left to his wife. The rules of intestacy changed in October 2014 and are now much more in favour of the surviving spouse. But even now, where there are children there is no guarantee that the spouse will inherit everything. It is therefore absolutely vital to make a will. It is the only way you can exercise control over who gets what, and how much. This is particularly important for unmarried couples, especially those with children. If you are not married you do not get any special exemption on money left to your partner, so if your estate is worth more than £325,000, there will be a bill.